Alpine holds pistol matches on Saturday afternoons at Anzac Range. To join a match or a Try Shooting session, you need to be a member of Alpine. For details of our three membership categories—Temporary Member, Associate Member and Full Member—visit alpinearmoury.com. For times and instructions, please read the section below that applies to you. If you have no pistol licence, you must first become a Temporary Member of Alpine, then pre-book and purchase a Try Pistol Shooting session. You can do both at Alpine Armoury. Temporary Members may take part ONLY in Service Pistol sessions (engaging a fixed target at close range). These start at 3.30 p.m. in the Horseshoe Range. If you decide to apply for your pistol licence and shoot regularly with Alpine and you aren’t already a Full Member of the Club, visit alpinearmoury.com to download the Membership Application form and pay the membership fee. All new pistol shooters need to do two practical shoots and a written examination. The examination is based on our Alpine Pistol Course Reading Booklet. If you are not already a licensed long arm shooter, you also need to provide two written references; stating that you are a suitable person to own high – powered rifles and pistols. You are welcome to become a Temporary Member and join us in pistol sessions for the month of your membership. Come to the Horseshoe Range at 1 p.m. Show your licence, sign the attendance register, and pay the fee ($65 for licensed visitors—this covers firearm hire and 30 rounds of ammunition whether or not required). If you have your own pistol, please bring a holster, magazine pouches and a suitable belt. Ask the Firearms Registry for a licence application form via this link, and bring it to the club. 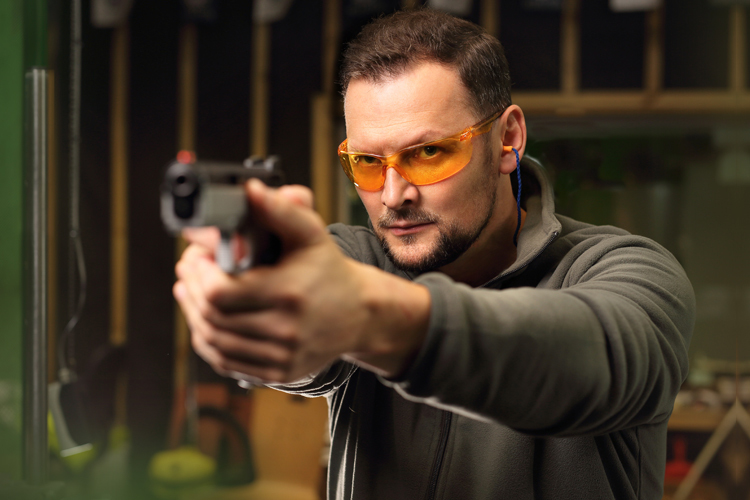 Complete two Try Pistol Shooting sessions on separate Saturdays, and complete a safety test. The test is based on the Alpine Pistol Safety Handbook. Please contact the club (alpinehtsc@icloud.com) to book your course date/s and request a copy of the handbook. 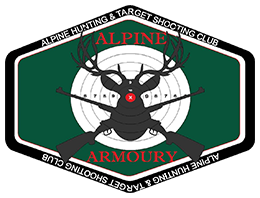 Join the club as a Full Member at the Alpine Armoury website. If you do not have a NSW longarms (Cat. A/B) licence, you must provide us with two written references from people who know you well, stating that you are a fit and proper person to use and own high-calibre pistols, and that you are not subject to any reason for licence refusal (listed here under “Refusals”). Send the Firearms Registry your completed licence application form with the signed test results and confirmation that you have completed the instruction course and been accepted for Alpine membership. If your application is approved (this can take two months or more), you will receive a probationary pistol licence. To progress to a full licence, you must maintain your Alpine membership and meet the attendance requirements (explained in this Firearms Registry fact Sheet). You can download a fact sheet on target pistol (Category H) licences here. For more info, see the Firearms Registry FAQ page. An Alpine target pistol course. Large view at link. 1. Web of firing hand meets tang of pistol. 2. Bases of both thumbs mate closely. 3. Support hand trigger finger makes contact with trigger guard.